The ability to manage through uncertainty, stay focused and make the big, tough decisions when necessary are some of the hallmarks of executive leadership. Those traits can be found among the individuals in this year's class of the Top 100 Executives, the men and women who are setting the pace for the rest of the IT industry. Certainly those traits are evident in the choice of VMware CEO Pat Gelsinger, who has guided that company through some turbulent times, as the No. 1 executive on our Most Influential list. Gelsinger has navigated VMware through a period that included uncertainty created by Dell's $67 billion acquisition of EMC (owner of a majority stake in VMware), a plummeting stock price, disruptive threats to VMware's core business from cloud and container technologies, a struggling public cloud product strategy, and reports of a potential Dell buyout or reverse merger. VMware channel partners offer kudos to Gelsinger, not just for getting the company through some serious turbulence, but also for getting VMware back to its roots as a channel-centric organization and providing partners with a way to contribute to VMware's success. "What he has provided us over the last year is a true, clear path for partners to build hybrid cloud practices and monetize the cloud," said C.R. Howdyshell, president of VMware partner Rolta AdvizeX. He added that VMware's turnaround was anchored on "integrating the channel into their growth model" and has validated a channel strategy for enterprise software. Our No. 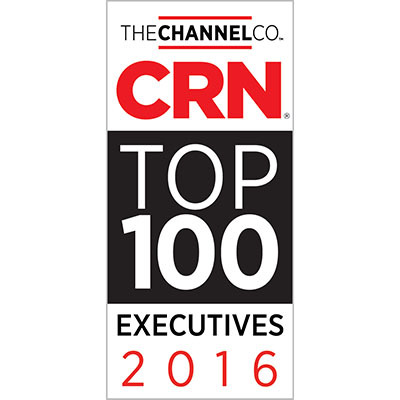 1 executive in the Sales Leader category, Terry Richardson, vice president of North American Channels, Alliances at Hewlett Packard Enterprise, is a veteran channel sales executive who has created a highly profitable channel program with incentives around the company's broad technology portfolio. Topping his accomplishments list is helping drive the GreenLake Flex Capacity pay-per-use model that provides partners with a competitive alternative to public cloud. In the Disrupter category, our choice for top executive is Keerti Melkote, president of HPE's Intelligent Edge Business Unit. The Aruba co-founder and engineer extraordinaire aims to shake up the SD-WAN market by bringing artificial intelligence and security software to capitalize on what could be a $7 billion opportunity in the SD-WAN branch market. Finally, our top Innovator, Dell Vice Chairman of Products and Operations Jeff Clarke, has been driving innovation and streamlining product development in Dell's Infrastructure Solutions Group for close to a year. A particular focus for Clarke has been expanding Dell EMC's $16 billion storage business, realigning engineering teams around four primary storage product lines and pulling the company's storage intellectual property into a common pool. These and the other leaders chosen for our Top 100 Executives list are proof positive that it takes a strong hand and a sharp mind to achieve success. As part of the Top 100 Executives Of 2018, CRN looks at 25 execs that are setting the tone in the technology world.